After career-changing performances in 'The Dark Knight Rises' and now 'Les Miserables', Anne Hathaway is untouchable. 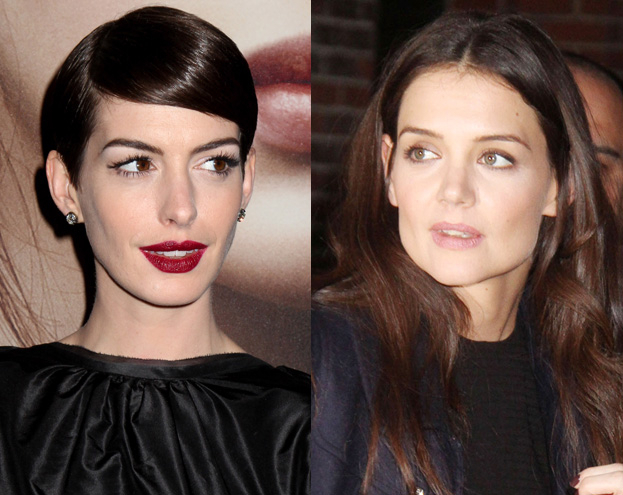 However, if you believe the latest reports there's still one rival who can rile her... Katie Holmes! Who'd have thought? We've been reading up on Anne Hathaway since she grabbed our attention with her stunning 'Les Miserables' performance, and it turns out she might not be as innocent as she seems. The 'Princess Diaries' starlet and former Dawson's Creek actress Katie Holmes are said to be fierce rivals, as they're always vying for the same roles. We're baffled! “Anne puts forth a very genial, friendly image, but she has a wicked competitive streak. She doesn’t like Katie because they used to go up for similar roles.